Kitchen Planners listens and works with you throughout the design process, We stay involved through every stage of construction. Interactive Planning allows the Designer and the Owner to produce a Client-Involved design. This leads to greater client satisfaction with the finished product and reduced costs. The design process allows the client, under the guidance of our designer, to select the best features for their particular budget and needs. Interactive planning gives the owner a sense of being “in-tune” with the plan reducing costly changes being made during the construction phase. For Design/Build Projects we will measure the kitchen, as well as surrounding rooms and exterior areas to further understand and utilize adjoining areas. This allows us to determine the optimum traffic patterns and better communication with the indoor and outdoor spaces. Feel free to reach out to us or come visit us at our showroom located in Rockville, Maryland. We would love to hear from you! Jan Goldman, owner of Kitchen Elements, works with clients in Washington, DC metro area, Maryland and Virginia as a kitchen architect, bath designer, space planner and project manager. As a kitchen architect, clients benefit from the blend of Jan’s sense of design, knowledge of structure, skill for architectural millwork details and adherence to organization, along with her perception of color, texture and materials. As a bath designer, clients rely on Jan’s guidance through design concepts, construction documentation and project installation using careful education and explanation. As a space planner and project manager, clients gain from Jan’s years of experience in creating and maintaining flow, organization, scheduling and immediate on site decision-making. Jan holds a Bachelor of Science in Architecture from The Ohio State University and a a Bachelor of Arts in English Literature from Beloit College. Her prior work experience includes positions at Greenwell Goetz Architects PC, Interplan, Spector Knapp and Baughman LTD and Creative Kitchens, Inc. She’s an active member of the National Kitchen and Bath Association (NKBA) and the Real Estate Investment Services Group (REIS). Jan holds a contractor’s license through the Maryland Home Improvement Commission (MHIC#100450) and is a Certified Lead Renovator (#R-I8865-10-07250). We are a local, independent business serving the Great D.C. Metro area for over 80 years. Founded in 1930, our company has grown to become the largest independent appliance retailer in Maryland. As a full-service company, our customers only need to make one stop to get everything they need, including turn-key kitchen remodeling, custom installation of built-in appliances, and appliance repair. To give our customers the very best in quality of products. Bray & Scarff has Certified Kitchen Designers on staff and we are a MasterBrand Cabinetry Partner. We also offer our customers an Appliance Price Guarantee and a Bray & Scarff Premium Service Plan so you can always shop with confidence. With over 20,000 kitchen remodels installed, Bray & Scarff is the only name you need to know. No one will make your dream kitchen easier to realize or afford. With the area's expert professional kitchen design services, biggest selection of major appliances, superior sales staff and in-house service, Bray & Scarff will make your dream kitchen a reality. We can handle your project from start to finish. + Start to finish total project management + Professional designers in every store + Trained and experienced installers We have 13 showrooms in Maryland and Northern Virginia to better serve you. Whether you are searching for price or for premium appliances and cabinetry, Bray & Scarff has what you need. Our appliance brands include: Monogram, GE Profile, GE Cafe, GE Appliances, Haier, Jenn-Air, KitchenAid, Maytag, Whirlpool, Sub-Zero, Wolf, Bosch, Bosch Benchmark, Thermador, Fisher & Paykel, Speed Queen, Asko, Best, U-Line, Sharp, and Zephyr. Our cabinetry brands include: Omega Pinnacle, Omega Full Access, Dynasty, Schrock, Schrock Entra and Kitchen Craft. Founded in 2001, Aidan Design is a boutique design firm specializing in kitchens, bathrooms, butler’s pantries, mud rooms, built-ins, fireplace surrounds, and many other custom cabinetry applications. At Aidan Design, kitchen design is our passion. From design concept to finish selection to implementing those challenging details, we want to transform your space into a place where you can cook, gather, contemplate, and celebrate. We create custom kitchens that blend superior craftsmanship and striking finishes and we hope that the end result will inspire and stretch your culinary horizons and change the way you live in your home. 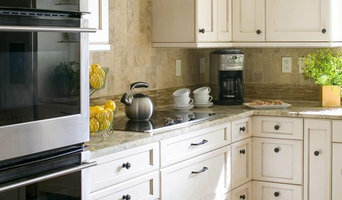 Kitchen projects typically range from $75,000 - $120,000 +. Master baths range from $45,000 - $75,000 and up while Guest baths range from $20,000 - $40,000. Laundry rooms, Mud rooms, Powder Rooms and other built-in spaces vary from $15,000 - $25,000 and beyond. Ranges represent total project costs including cabinets, counter tops, decorative hardware, appliances, lighting, labor, and other finish materials. What does a North Chevy Chase kitchen designer or bathroom designer do? A kitchen and bath design professional in North Chevy Chase, MD knows to take all of these crucial points into consideration and can help plan the layout, materials and overall look and feel of either of these rooms in your home. Kitchen designers, as well as bathroom designers, are constantly staying on top of trends in the ever-changing industry. The designer also knows the best layout for your room, and can configure the layout for optimal functionality and utilization of the space. In the kitchen the refrigerator, stove and sink should be laid out in relation to one another, and it should be seamless and easy to move from one to the other. 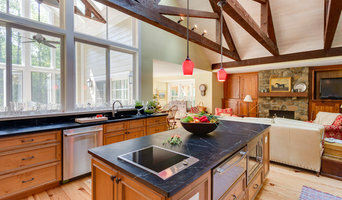 A North Chevy Chase kitchen and bath designer will know how to work with a contractor and architect to plan the flow of the room to work best for your needs. Here are some related professionals and vendors to complement the work of kitchen & bath designers: Kitchen & Bath Fixtures, Appliances, Tile, Stone & Countertops, Cabinets & Cabinetry, Woodworkers & Carpenters. Before you talk to bath and kitchen designers in North Chevy Chase, MD, consider how you will use the room. For your bathroom, is it necessary to have a bathtub for bathing kids or pets, or would a shower suffice? Perhaps all you need is a half bath for downstairs or a smaller guest bath for occasional use. Similarly, for kitchen renovations consider your cooking habits. Do you eat out every night but need a space to entertain in? If so, a smaller kitchen might be fine for you, with a space devoted to wine storage or a bar, whereas others might prefer a bigger stove or extra cabinets. When interviewing North Chevy Chase kitchen and bath designers, make sure to share these habits so they can best fit the room to suit your needs. 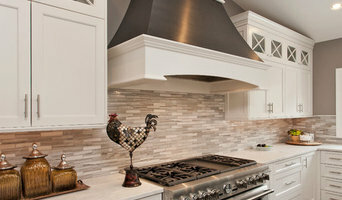 Find a North Chevy Chase kitchen designer or bathroom designer on Houzz. Narrow your search in the Professionals section of the website to North Chevy Chase, MD kitchen and bath designers. You can also look through photos in North Chevy Chase, MD to find a kitchen or bathroom you like, then contact the professional who designed it.